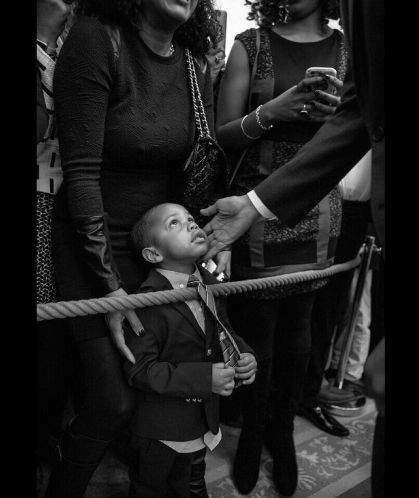 Sad to say, the Obamas, like the Clintons, don’t go away easily. The lure and promise of continuous power over millions of infantile groupthinking sheep is overwhelming, particularly for those in the upper tiers of the Democratic Party addicted to it. Although out of office, Himself and his Michelle-Antoinette are anything but out of sight or mind. The Obama Cult of Personality continues, as effective a tool of mass manipulation as the Dem Party currently possesses. 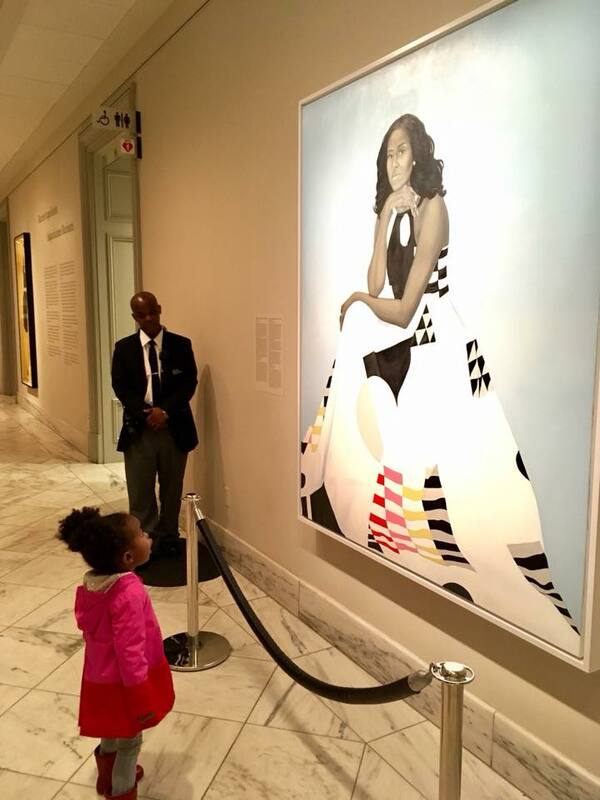 Lately, we’ve been treated to the photo of a perfectly innocent little girl who, we are disinformed, has been caught up irresistibly in the magic and and unsurpassed wonder of Michelle-Antoinette as depicted in her recently unveiled portrait. Is there any difference in the message sent years ago, early on in the Obama saga by The One’s personal photographic propagandist? “Meet our needs…” or else! demand The Children of The Demmed. The skin-crawling comparisons of Obama’s Cult Of Personality with the most sinister dictatorships of the past and present are hard to avoid. Little Parker, “awestruck,” so we’re told. Presumptuously putting thoughts into a 2 year old’s mind and broadcasting those “thoughts” far and wide as the sentiment of millions. All in service to permanent, ongoing worship and dedication to “The One,” “Sorta God,” really the wretched remnants of what was once a Democratic Party of grown-ups.